Generate terminal lines at each map exit (north, south, east, west). Shuffle those lines and randomly choose a start and end location for the river based on two of those lines. Using a* pathfinding, acquire the most optimal point between the terminal points. 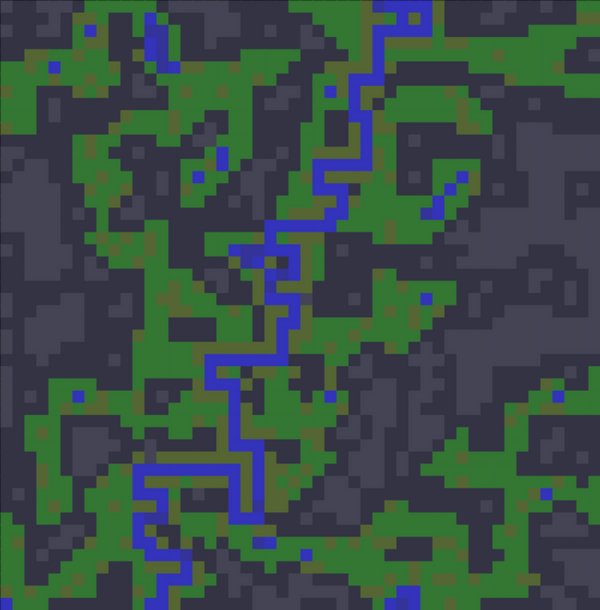 Fill the path with water while allowing the water to spill outwards randomly if the terrain allows it. Primarily developing video games or open source projects, while assisting others in contract work ranging from complex WebGL to single page applications or generic data visualization. 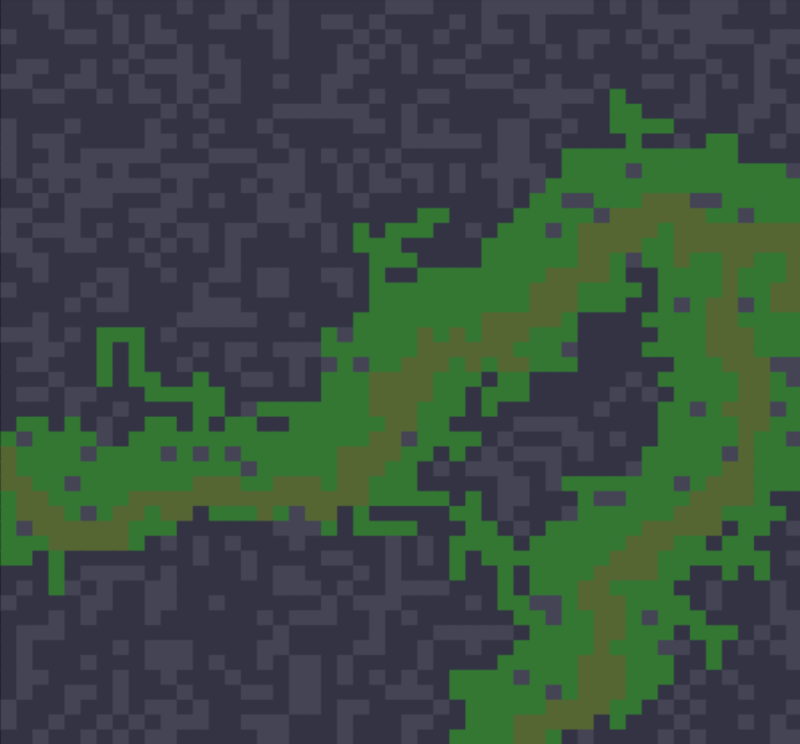 Nathaniel Inman introduces his unique meandering river algorithm and shows how it can be created and used in top-down 2d games with random maps. Nathaniel Inman walks through the algorithm necessary to generate random cliffs for 2d video games.